Hi guys. I have a super cool review & giveaway for you all. It is being brought to you from Del Monte. And it is to promote the awesome sweepstakes they are having. *Please check here for the official Sweepstakes Rules. Here's a pic. of the nachos we made. We basically just put some nachos, Del Monte tomatoes, and grated cheese on a cookie sheet, and baked until cheese melted. They were delicious! Disclosure: The Del Monte products, information and two gift packs have been provided by Del Monte. I love the fresh cut green beans. Love the Del Monte® Pineapple Chunks. I love using the Pineapple chunks to mix with strawberries - a great pick me up treat! I like the Del Monte Fruit Cup® Snacks Pineapple Tidbits in 100% Juice! I love all their fruit! I love to use the Diced Tomatoes with Basil, Garlic and Oregano when I cook spaghetti. I like Del Monte's corn the best. I also like their mixed vegetables. Their canned green beans are good. I like Del Monte® Whole Kernel White Corn. The Fruit Chillers Frozen Treats are yummy in summer! I like Cherry Punch Halfpipe. I like Del Monte peas and carrots. The Fresh Cut Green Beans are good! I love their green beans and fruit cocktail. I like the Del Monte® Dark Sweet Cherries. Del Monte® SunFresh® Citrus Salad. ~ Angie B. We like the Del Monte® SunFresh® Red Grapefruit in a jar. I love their Red Grapefruit fruit cups! Loved the Del Monte diced tomatoes when they aren't in season. I like the canned corn, I use it in corn casseroles. I like the Fruit Cup Snacks. Handy way to eat more fruit! I like their mandarin oranges! I really like their strawberry fruit chillers. Thanks for hosting! I like the Pineapple Slices in the cans (I always have, ever since I was a little kid). del monte canned green beans! I like the Fruit Naturals snacks. I love using their frozen pineapples for pina coladas! Strawberry Snow Storm Tubes these are yummy!! I like their fresh cut green beans. My family likes the canned peaches. Canned pears! Thanks so much for the fantastic giveaway! I like Del Monte® Whole Kernel Corn-No Salt Added. I decide what spices to add, but they are yummy without the extra salt many others add. Del Monte Fresh Green beans. I like the Del Monte Fruit Cup® Snacks Mixed Fruit in Cherry Gel. I'd like to try the No Sugar Added Red Grapefruit. I love del monte canned peaches! I like all Del Monte products, especially their vegetables and fruit. Thanks! I love the Del Monte Fruit Natural Snacks. I like their canned peaches. I like their mixed vegetables. I like the No Sugar Added Mandarin Orange fruit cups. I also enjoy the Del Monte Mango Chunks for lunch. I like the canned pears for my kids! I want to try the Pear Chunks in Acai & Blackberry Juice Blend! I would get the Fruit Cup Snacks. Love the Lite Sliced Peaches in a can. I like the Del Monte Chili Sauce too! love their SunFresh® Mandarin Oranges! I like their fruit cup snacks. My favorite Del Monte vegetable is the asparagus. We love the pasta sauce, it's extremely affordable and tastes great. We like the Del Monte Lite®Peaches in Strawberry-Banana Gel Fruit Cup. Thank you! i also like the del monte jarred fruits especially the peaches they are delicious! I also love the Del Monte Fresh Cut Sweet Peas - thanks! I like their fruit chillers! Especiall the MANGO! I love the pineapple tidbits. and I like the less salted canned items too. I like the Del Monte® SunFresh® Citrus Salad. Del Monte Fruit Chillers® Arctic Strawberry Cups sounds yummy! I would love to try them! I like the Del Monte® SuperFruit® Peach Chunks in Pomegranate & Orange Juice Blend. I like the mixed vegetables. 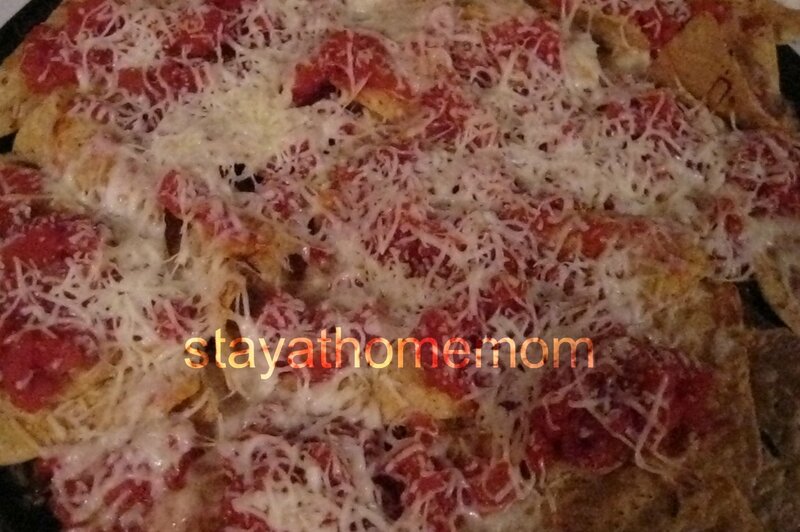 We tried a recipe with Del Monte® Diced Tomatoes with Basil, Garlic and Oregano in it the other day. Yum! Thanks for the giveaway...Fiesta Corn !